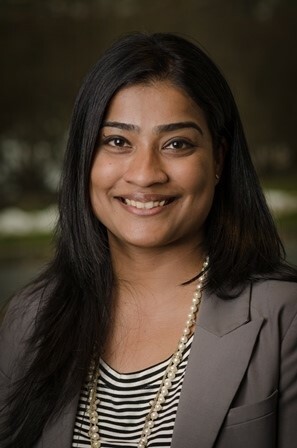 DEERFIELD, Ill., March 7, 2019 /3BL Media/ — The Caterpillar Foundation, the philanthropic organization of Caterpillar Inc. (NYSE: CAT), today announced Asha Varghese as its new president. Varghese brings more than 15 years of experience at General Electric (GE) to her new role, most recently leading GE’s Foundation as director of global portfolio. In that role, she set the global strategy for the GE Foundation with an emphasis on improving access to quality healthcare for underserved communities in the developing world. “We are proud of our nearly 70-year history of supporting the global communities where we live and work,” said Kathryn Karol, Caterpillar’s vice president of Global Government & Corporate Affairs and Foundation board chair. “We are pleased to welcome Asha, and with her passion and expertise in philanthropic investing, we look forward to her leading us through this exciting new chapter as we continue to help build a better world." Varghese also led the U.S. healthcare portfolio for the GE Foundation and held positions in information systems, Six Sigma, and strategic planning for business processes in the company. She is a board member of the Covenant House Chicago and a certified Lean Six Sigma black belt. She holds an MBA from Northwestern University’s Kellogg School of Management and a bachelor’s degree in computer engineering and computer science from the University of Louisville. Varghese is also a graduate of the 2018 Presidential Leadership Scholar program. When she begins her new role on March 20, 2019, Varghese will be based at Caterpillar’s global headquarters in Deerfield, Illinois. Founded in 1952, Caterpillar's philanthropic organization, the Caterpillar Foundation, has contributed more than $740 million to help make sustainable progress possible around the world by providing program support in the areas of basic needs, education and environmental sustainability. To learn more about the global impact of the Caterpillar Foundation, visit www.togetherstronger.com. To connect with us on social media, visit caterpillar.com/social-media.